The Great Adventure – What Made You Happy Today? 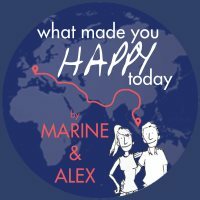 We are Alex & Marine, travel-trepreneurs for one year. 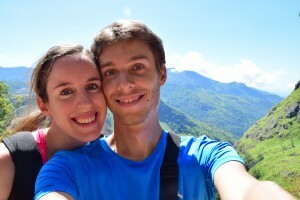 Since 2010, and our 4L Trophy adventure, we have been dreaming to go for a great, exciting (and a bit scary) adventure: travel from Singapore to France without taking any airplane. During three years working in Singapore, we have had some professional experiences that left us somehow frustrated. We have also met too many people who, like us, were not happy in their job and their company. So in July 2016 we have decided to go for our dream trip and dedicate it to the quest of happiness at work. We want to ask people we meet on our way what makes them happy at work, what made them happy today. So follow us on this great adventure and we hope it will inspire you to make you feel happier, today and forever! Here is our plan below. We have listed places we absolutely want to go to, but we are actually very free and may change our plans according to our feelings and the advice of people we will meet on our way.